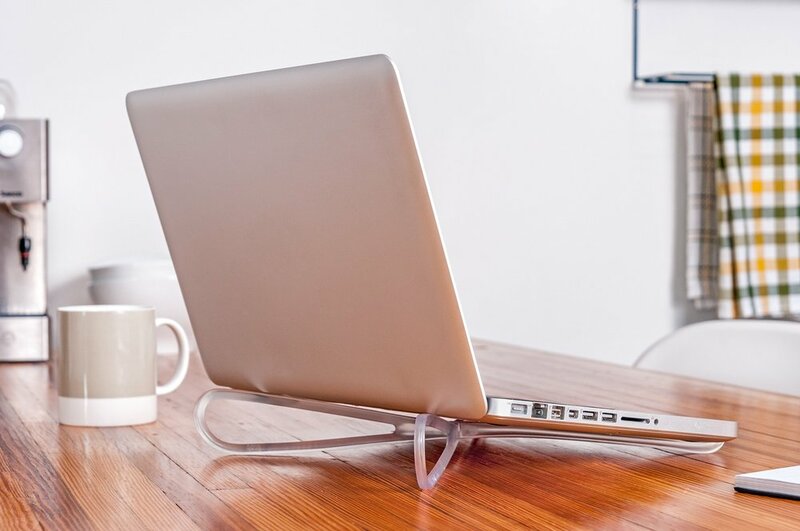 the Prop is an affordable and portable laptop stand. You won't leave home without it. While in architecture school, we discovered a need for a laptop stand that actually worked. We wanted something affordable and void of any fans or attachments. It needed to look nice while in use, and most importantly it had to travel well. Designed to allow for passive airflow, the Prop will become an essential piece to your mobile work space without jeopardizing comfort or appearance. We hope you like it! 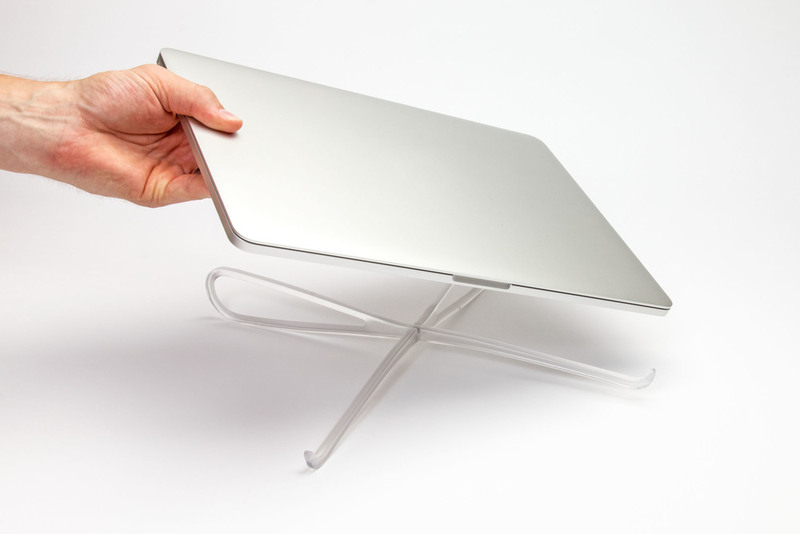 Will not work with laptops (or iPads) smaller than 10.5″ across, heavier than 10 lbs or larger than 17.3″ screen size.